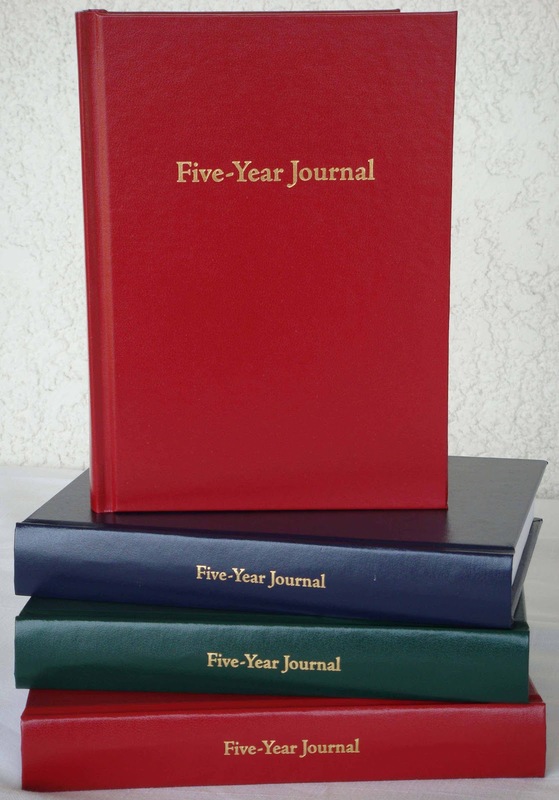 Here’s the perfect gift for both writers and non-writers alike—a five-year journal. It only takes five minutes to record your day’s events, thoughts, feelings, and such in this sturdy, hardback-bound journal. 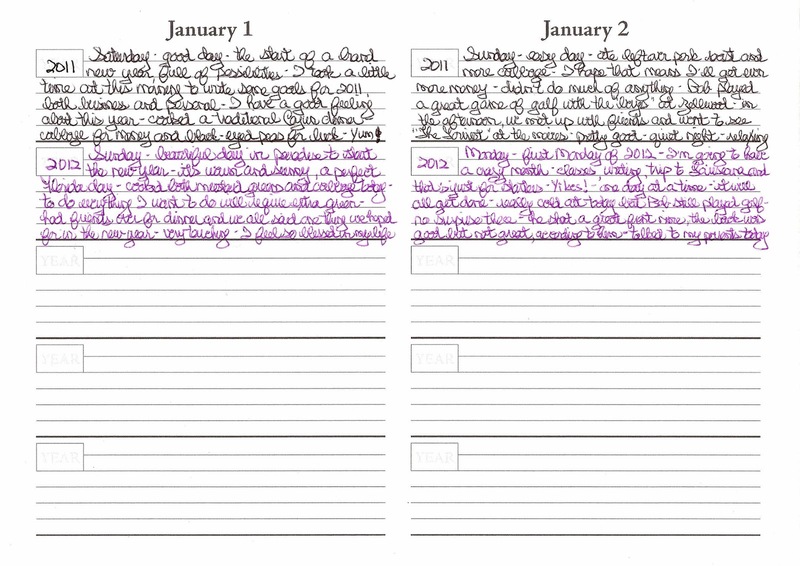 The top of each page displays the month and day and provides six ruled, quarter-inch lines for each of the five years. Use this versatile book as a diary, a gratitude journal, a container for story ideas, a place to record the first five years of a new child or grandchild’s life, a new marriage or career, a way to record goals and actions taken. 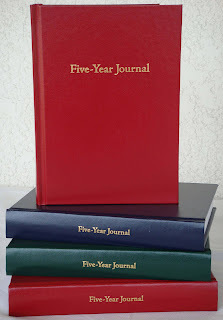 How you use your five-year journal is limited only by your imagination. It’s the perfect way to unwind at the end of the day, and it only takes five minutes of your busy life. As time moves on, revisit the memories made on that day for each of the previous five years. I’ve been keeping five-year journals for seven years now, and every evening when I take my copy out of the drawer beside my bed, my husband and I relive the ups and downs, the thrilling and the mundane, the joy and hope of our days together. Cost of the hardback, 370-page journal, which comes in cranberry red, hunter green, or navy blue, is $28.99 plus sales tax and shipping. Click here to learn more about purchasing a journal for yourself or those you love. 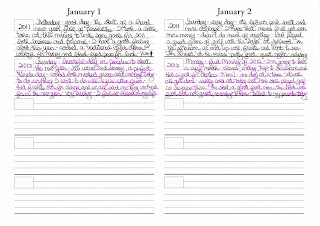 Purchase it now and be ready to begin this new adventure on January 1, 2013 even though you can begin keeping this journal on any day of any year. The years are not specified. Click here to read the story of ninety-two-year-old Florence Wolfson Howitt who had the five-year journal she received on her fourteenth birthday in August 1929 and faithfully kept until she was nineteen years old, returned to her just a few years ago.